TED talks recently had a presentation on bees. A Photographer by the name of Anand Varma raised bees in his backyard. He took close up videos and pictures with his high tech cameras! This project was for the May 2015 issue of National Geographic Magazine!! This gives views of the hive and the health threats to the bees from mites. 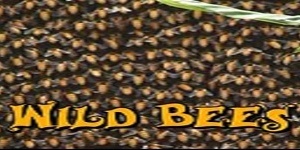 With his videos he shows the problems that bees are facing. Watch The TED Talk NOW – Click Here.